The short story is that we finished 2nd in today’s race, and third for the regatta. The longer story is that the wind filled in so late that only one race was possible. When it filled it was the windiest of the week, at 18 knots. On Robertissima, we had a great start and controlled the race, leading at very mark including the finish. Bella Mente and Jethou both had bad starts, went right and was quite far behind after the first lap. Shockwave and Alegre sailed close to each other in second and third most of the race. Heading into the last windward mark Alegre slipped back a bit and Shockwave slipped in right between us. At that point we didn’t have enough boats between us to win. At 22 Knots of boat speed the run only lasted 8 minutes. We crossed first with Alegre second, Shockwave third and Bella Mente 4th. As it was Shockwave won the regatta and even the race because the 25 seconds we beat them by wasn’t enough. But we were tied with Bella Mente and would beat them on the tie breaker. After the race Alegre retired and this moved Bella Mente up to 3rd in the race and second overall. It was all a bit hard for is to understand but we later found out that Alegre had touched the windward mark. Obviously we would have loved to have had the second race as we were going sailing well but we had passed the time for the last start for the day. All in all, we improved all week. We worked on our speed and our starts. We won more races than anyone, just had too many bad ones as well. We were quite a few new people to the team for this regatta as the “regulars” were racing in the TP52 fleet. 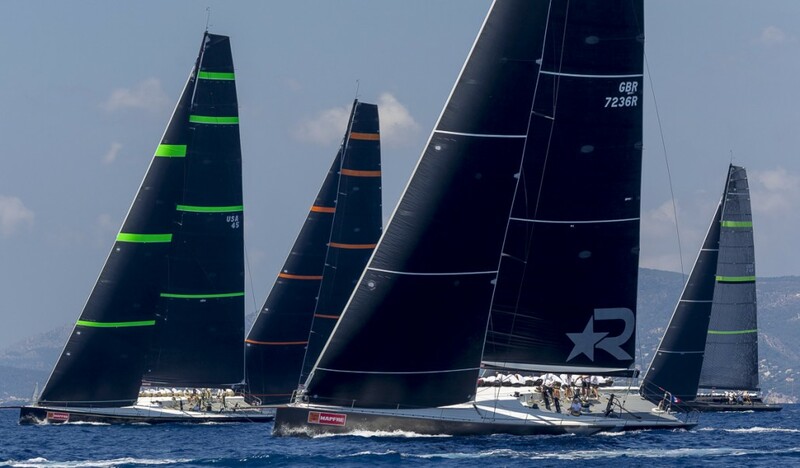 The next event for Robertissima is the Maxi Worlds in Porto Cervo in three weeks. It was fun to be onboard Robertissima with a lot of friends. Two good races were held again today in slightly more wind, and plenty of sunshine. 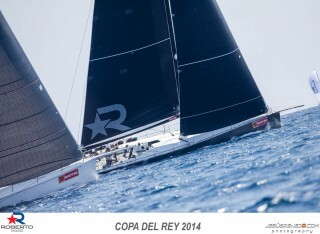 Onboard Robertissima, we started of the day with a win. We won the left side of the starting line and therefore the left side of the race course and controlled things from there. After that first race, we were in a three way tie for first place overall, with three races remaining. Shockwave and Bella Mente were the other two tied with us. In the second race, we got a bad start. We fought for the left side as usual, but our timing wasn’t perfect and we got squeezed out 2 minutes after the start. We had to tack and go out to the right to clear our air, and on this one sided race course, that was it. We hung close but could never get around the others and no one made any big mistakes. So going into tomorrow, we lie in third place, 3 points out of first and two points out of second place. Shockwave is back in the lead. We have a good situation should there be any ties in that we have won four races and the tie breaker goes in favor of most number of first places. Hot and cold today for Robertissima. Except it’s always hot here in Palma! 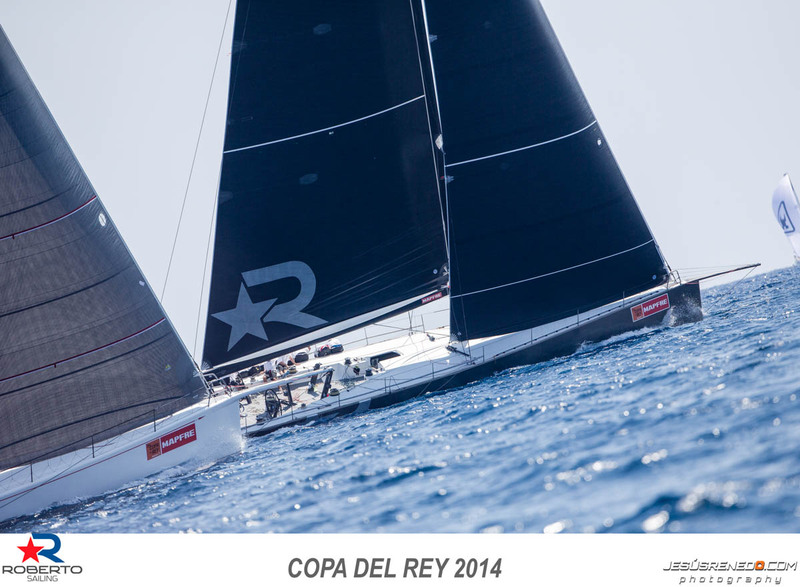 Two races were conducted on the Bay of Palma today in 10 knots of wind from the southwest. In the first race we executed our plan to start at the left end of the line only to find the right side generally better. We finished 5th while Bella Mente won. Shockwave, the leader in our class was just in front of us in 4th. In the second race there was an even bigger fight for the left side at the start. Shockwave won the fight but started slow. Bella Mente was just above Shockwave and even slower, but went over the line early and had to go back. Onboard Robertissima, we started just above Bella Mente with full speed. We quickly took control of the left and led the entire race. Bella Mente, after fighting tooth and nail for the left, and having to restart, went hard right with nothing to lose. After looking far behind, they got an amazing wind shift to arrive at the first mark second. 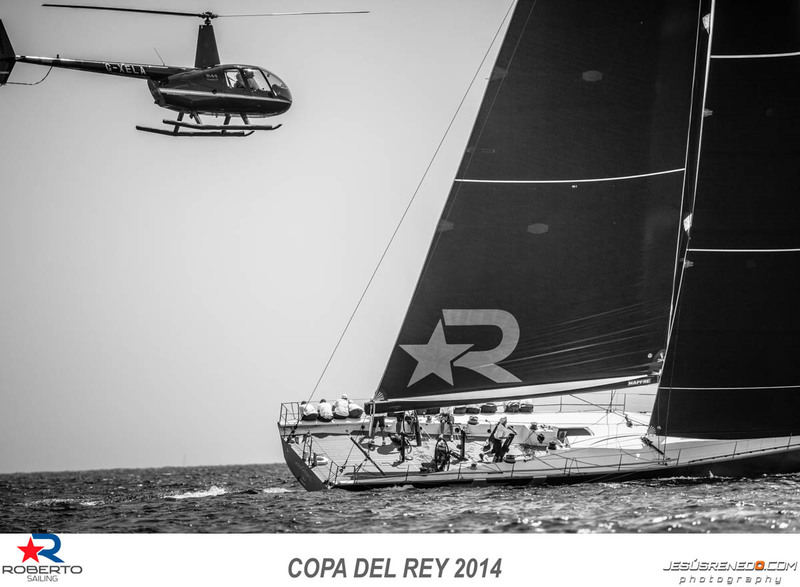 After 7 races, Robertissima is in 3rd place, just 4 points out of 1st. Two races are on the cards for tomorrow. Todays race was the “coastal” race. This meant sailing a few laps around the bay of Palma. The conditions continued the same as all week, sunny, hot and 10 knots of wind from the south-southwest. We did not have a great start and were last at the first mark of the course. Bella Mente had the lead since the start and never relinquished it. The boat was going well so we were patient and found some opportunities. We managed to get into second place about half way through the race. The marks for the coastal race are variable and not in place at the start or even when you start a given leg. Sailing up the 3rd windward leg, our team misunderstood the range and bearing to variable mark 2 which is communicated by radio. We had understood 225 while the actual position was 205. We sailed for the 225 position and therefore “over stood” the mark by a quarter of a mile. The loss of distance put us back into 4th place. This sprung Bella Mente even further into the lead and let Alegre out into second. Fortunately Shockwave was not having a great race, (we might have had something to do with that), and they finished 3rd while we finished 4th. So at the half way mark in the regatta, Shockwave is leading with 10 points, Robertissima is tied with Bella Mente for second on 14 points, Alegre is 4th with 15 and Spirit of Jethou is 5th on 22 points. Needless to say, that very frustrating to give away so much distance and a very good score. However, we are sailing well and pretty fast. So we need to carry that with us into the last 6 races. Tomorrow 2 races are on the card. Forecast is the same. Great day for Robertissima today! We won both races. It doesn’t get much better than that.After yesterday’s disappointing performance, we came out focused and determined.The wind was lighter and the race course trickier today. In the first race the left side paid and in the second race the right side paid. In both races Bella Mente looked good early and in both races they made mistakes that we took advantage of. We led at every mark of both races. There is still a lot of racing left to do so we need to keep our focus. Tomorrow there will be just one race and it will be a bit longer than the first four races. The race will take us around the rest side of the Palma Bay. The forecast for tomorrow is 8-13 knots from the southwest.